Win! 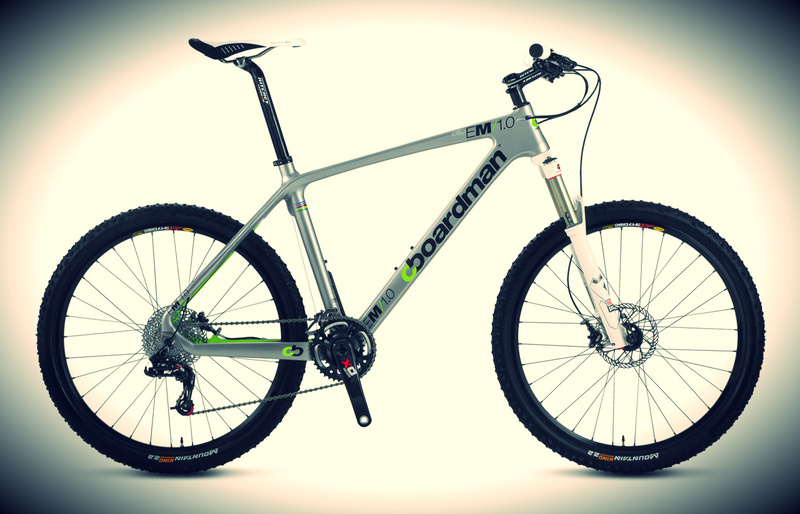 A Boardman EM1.0 worth £2,600! Win a Boardman EM1.0 worth £2,600! It’s no coincidence that Annie Last appears in our Olympic preview issue. While interviewing the young Derbyshire rider for the feature on page 102, we were as charmed by her confidence and demeanor as we were impressed by her skill. So to celebrate the both the Olympics and possibly our best medal hope at the games, we’ve teamed up with Boardman to offer a pro-level EM1.0 carbon race bike worth £2,600. Annie and her teammates Kenta Gallagher and Liam Ferguson race on a mix of prototypes and models in the Boardman Elite range. This EM1.0 is the mainstay of their training schedule, teaming a 1.2kg carbon frame with the legendary RockShox 120mm SID fork and SRAM XO drivetrain. As Annie says, it’s a bike built for speed – an out-and-out XC weapon – but when we tested its sibling (the £1,600 HT Pro carbon) last year, we were expecting a sketchy race-day only machine, only to find a competent trail bike. Whatever you’re into, a blast on the EM1.0 will make you want to ride fast and attack. And all you’ve go to do to be in with a chance of winning one is get on to Boardman’s Facebook page and ‘like’ the competition box. The direct link is here. The cut off date is July 24 and the winner will be chosen at random. Good luck!